Smart-Kids Achieve! 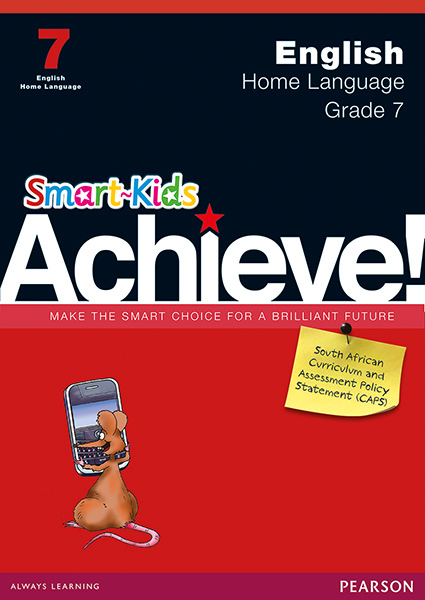 Grade 7 Language Workbooks are specially written by experienced South African teachers who know exactly what the needs of Grade 7 learners are. The workbooks support the latest South African curriculum and the work being done in the classroom. They are packed with all the colourful activities you’ve come to expect from Smart-Kids, but the characters are older, cooler and smarter! Smart-Kids Read! Level 1 Book 4: Lost!